Be tired of promoting your farmers market with unimpressive marketing materials? 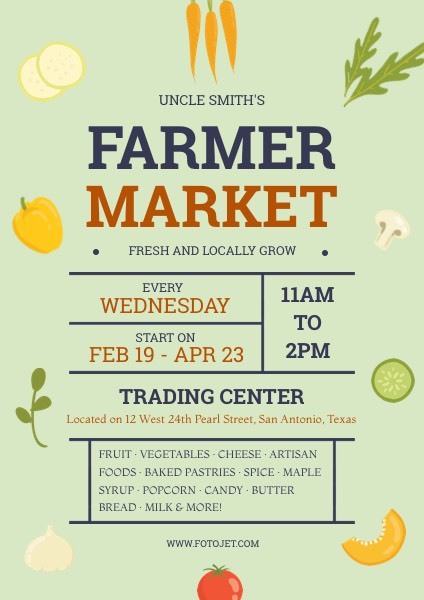 How about trying to make something special with this farmers market flyer template? This special flyer design template, with illustrated vegetable and fruit images, gives a different solution. Its harmonious combination of size, color, font of the text, will give the viewers a deeper impression. The flyer design is professional, but the way to make your flyers online is fairly easy.